How to watch Independence Day (1996) on Netflix Germany! 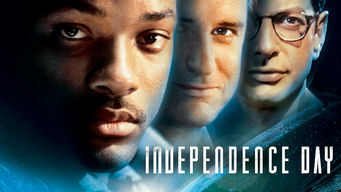 Yes, Independence Day is now available on German Netflix. It arrived for online streaming on July 20, 2018. We'll keep checking Netflix Germany for Independence Day, and this page will be updated with any changes. When aliens arrive in Earth's atmosphere and start blowing things up, a cocky pilot and a goofy scientist act to save humanity from destruction. Aliens have arrived, and they're definitely not friendly. Earth's darkest moment is about to become its finest hour.